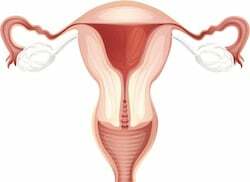 Uterine artery embolization is commonly used to treat fibroids and other growths on the uterus. In some cases the treatment can render a woman infertile. Researchers from UCLA recently published a report pertaining to the live birth rates of women who requested fertility be spared. Fertility wishes were noted by doctors before embolization was completed. All women in the study 40 years or younger at the time of treatment. According to patient charts, 44 women receiving treatment from 1996 to 2010 requested treatment spare fertility. Twenty-eight pregnancies were later reported by 22 women. Pregnancies in the group resulted in 20 live births and three miscarried pregnancies. There were two reports of preterm labor. Live births were achieved through 16 C-sections and six vaginal deliveries. As of the time of the report one woman was still pregnant. Conclusion: Uterine artery embolization does not have to impair fertility in all cases. Women who sought to preserve fertility were able to conceive and carry pregnancies to term in 48% of cases. There is no mention of underlying causes that could have prevented the remaining 52% of women from conceiving. Miscarriage and preterm labor rates were not noted as being statistically significant. Source: McLucas B. Pregnancy following uterine artery embolization: An update. Minim Invasive Ther Allied Technol. 2012 Oct 4.